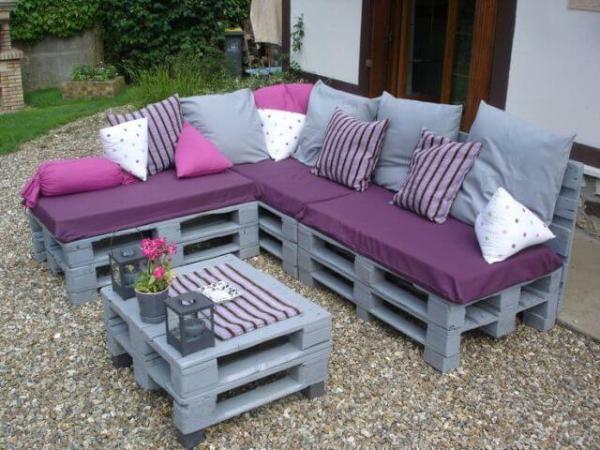 High rates of the industrial furniture are making the people away to get a comfortable living style. 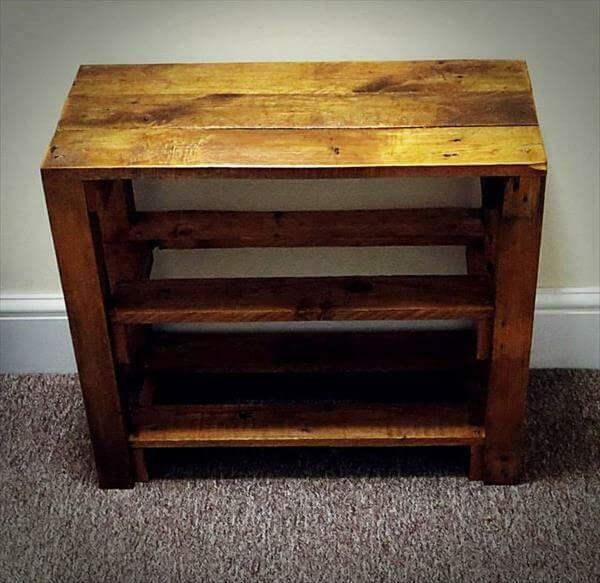 If you are also suffering from this embarrassing condition then pallet wood can help you great to come out from this disgusting situation. 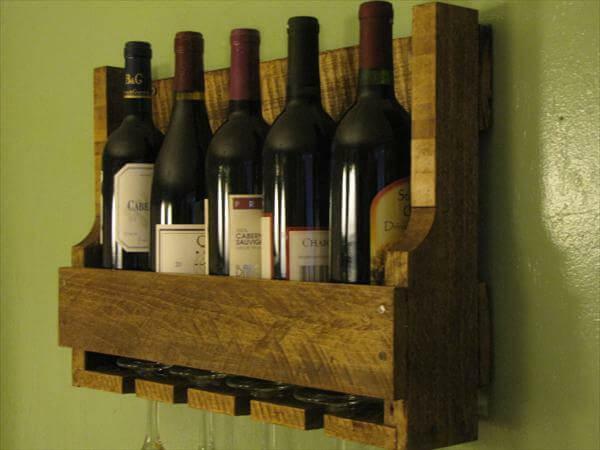 Pallet wood is not fresh or high-quality wood, it is basically consist of retired skids and boards from the ships which are use to pack the heavy deliveries of medicine, food and other goods of daily use. 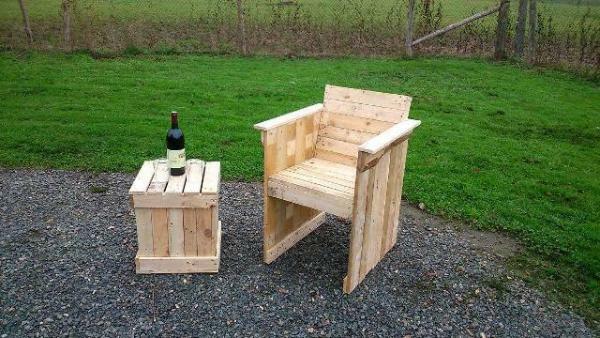 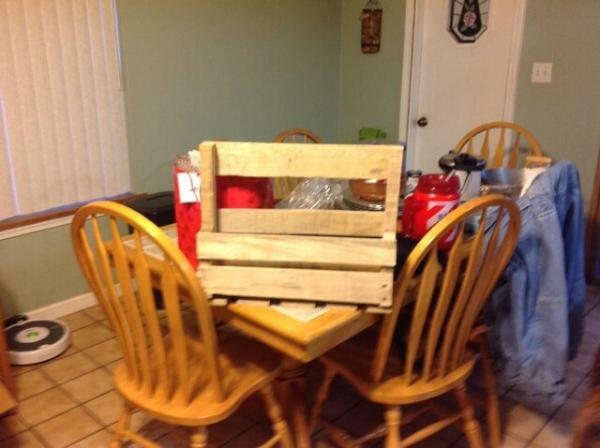 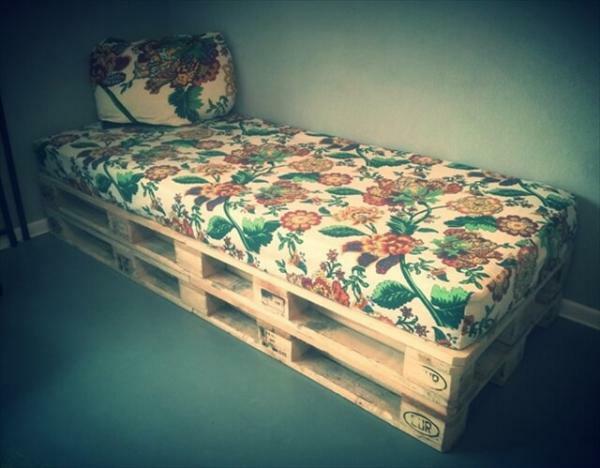 However these pallets can be grabbed after their shipping duty without any cost to make extraordinary pieces of furniture out of them. 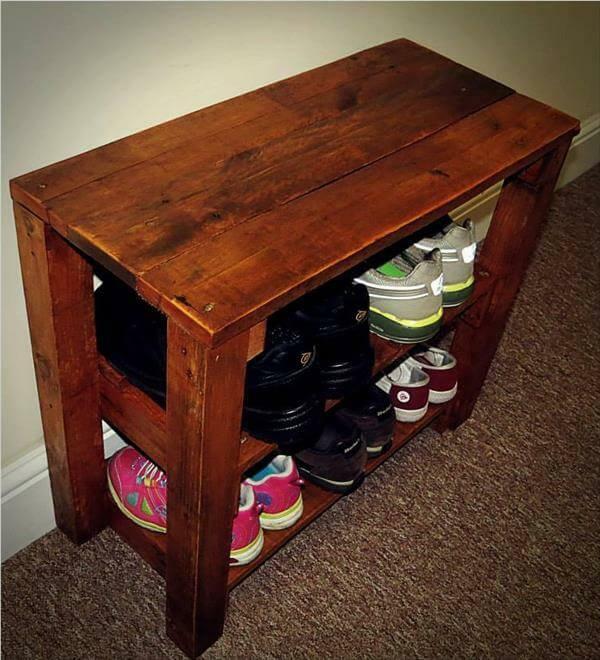 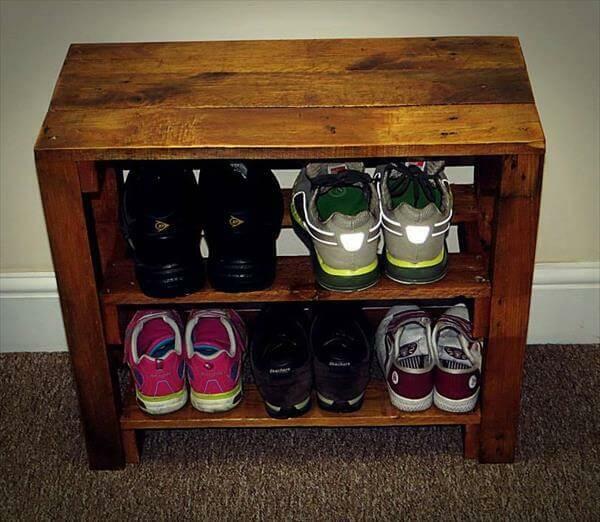 This sturdy DIY pallet shoe rack has been made out of same rustic shipping skids and provides a wide space to store well you piles of shoes. 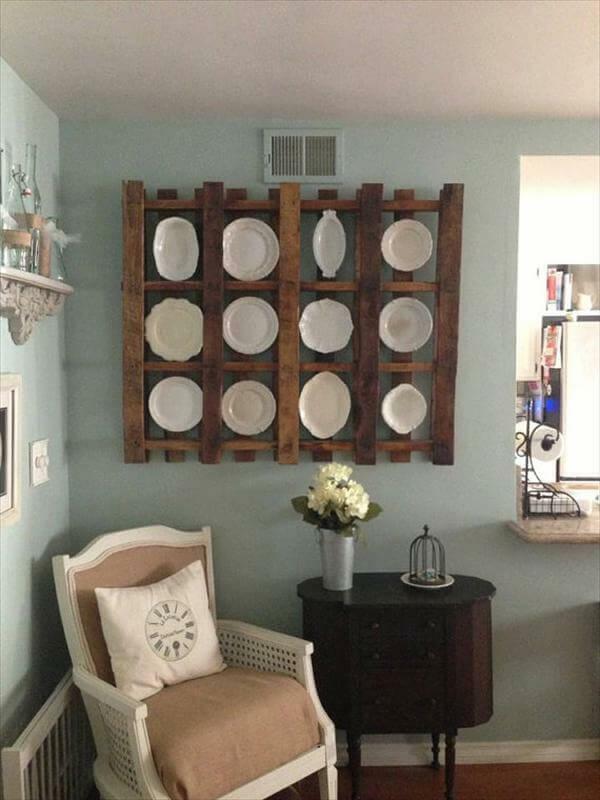 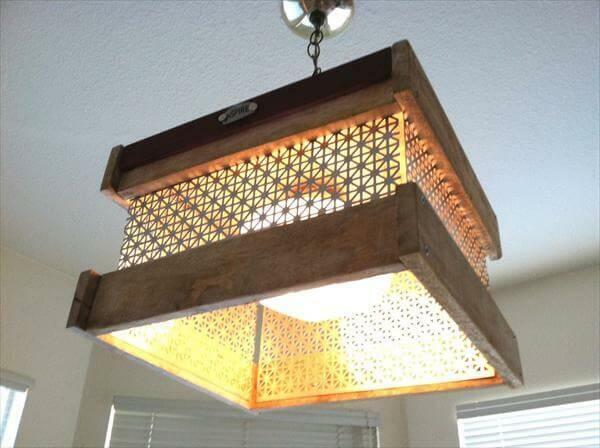 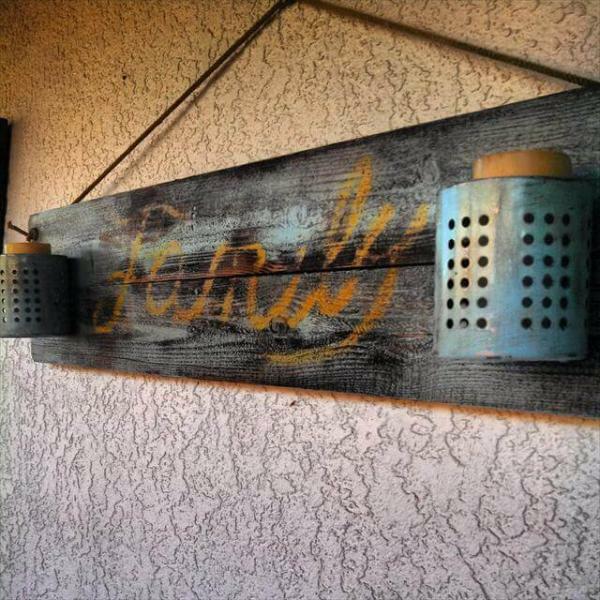 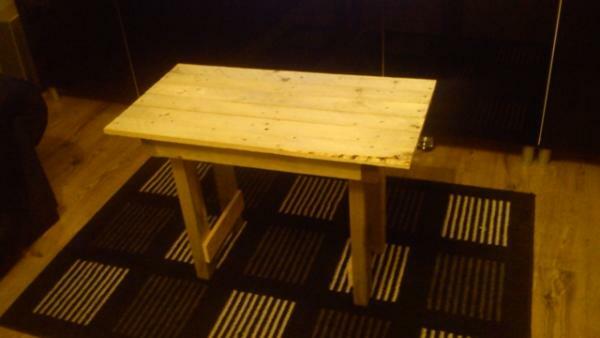 You can position it anywhere in home to give a rustic touch to that space along with serviceability. 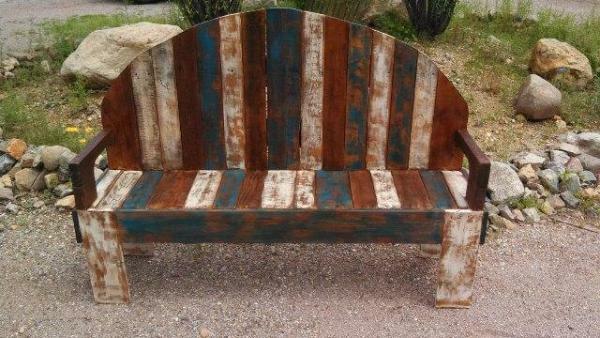 We have finished this wood pallet furniture off with few coats of stain and lacquer to get more eyeful appearance of it.